Jingle all the way to great rhythm sessions with our awesome adjustable wrist bells. Made of Brawny Tough fabric, Jingle Wraps feature a special hook and loop closure for an easy on, easy-off fit. 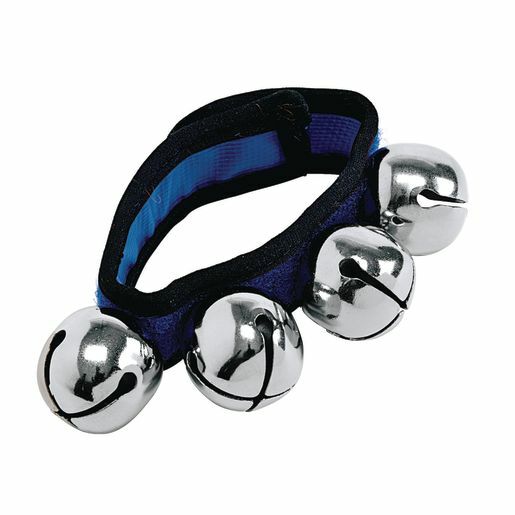 The 4 large jingle bells are riveted on to take the most enthusiastic of jingling. 8" long, colors will vary.